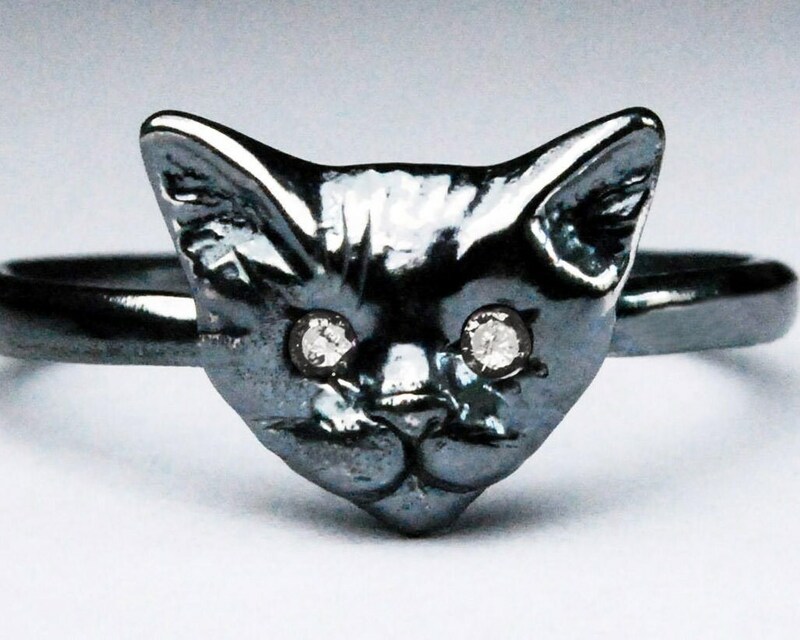 Solid Blackened Sterling Silver Kitty Cat Ring with 1.5mm white cubic zirconia eyes. This ring can also be made with natural diamond. Please contact me if you are interested in the diamond option.